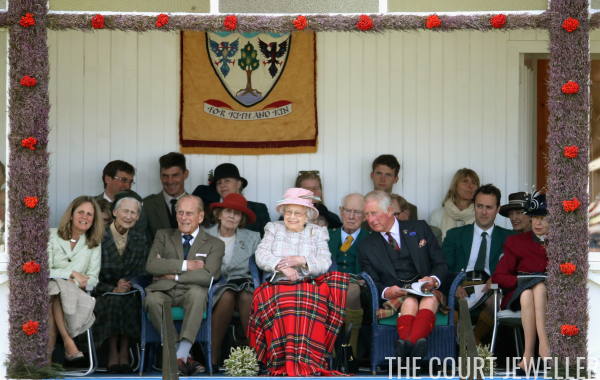 The annual Braemar Gathering was held this weekend, and the royals attended on Saturday. Here's a look at some of the jewelry on display, plus on very unique royal ensemble! 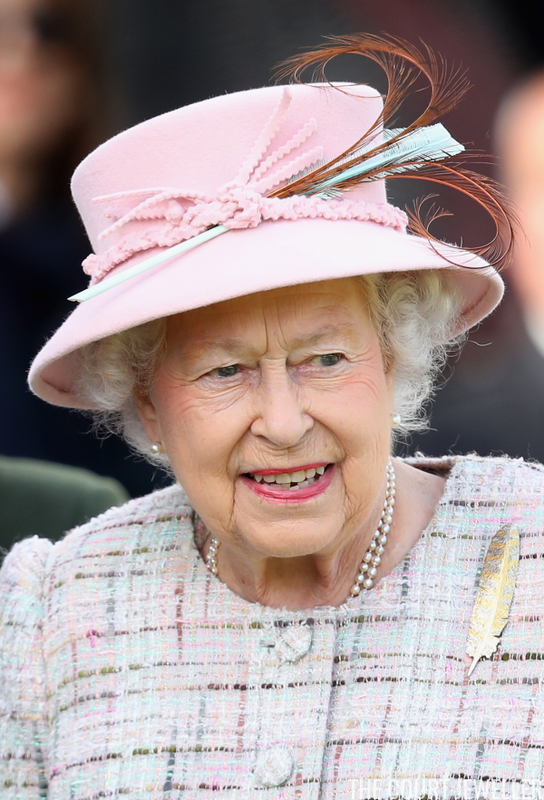 As she does every year, the Queen wore her Braemar Feather Brooch to attend the gathering. You can read more about this brooch over here. 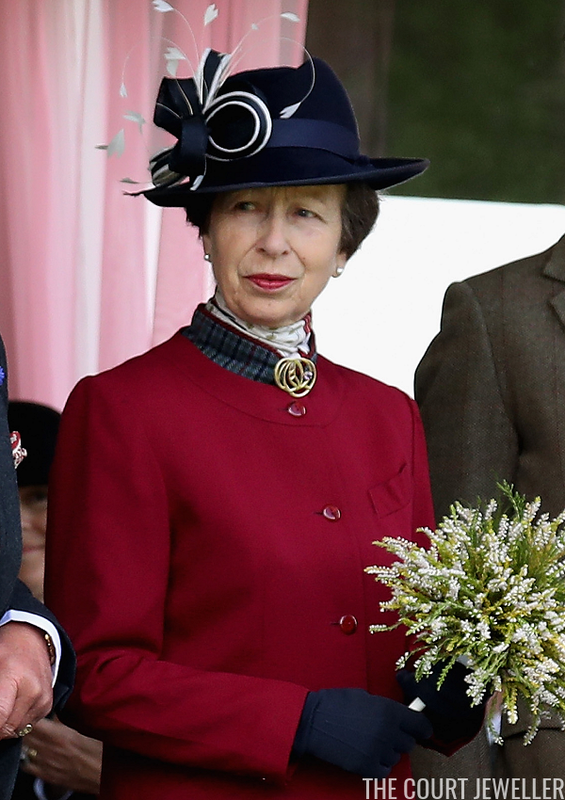 Princess Anne attended with her father, mother, and elder brother. 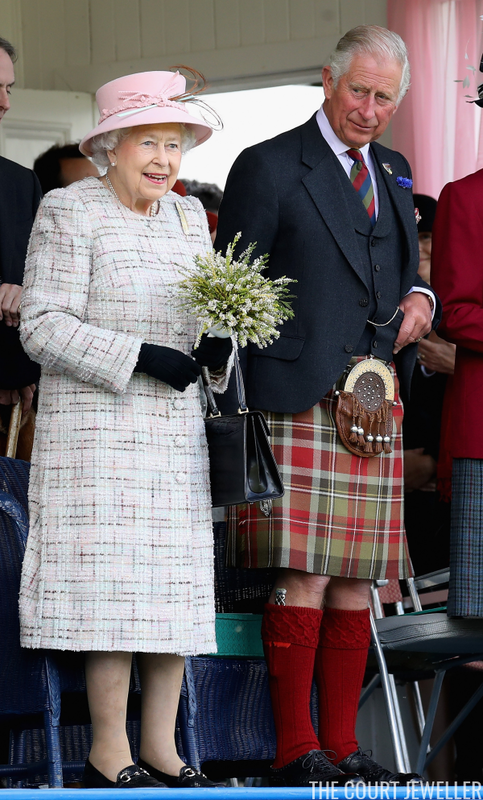 She pinned a brooch at the neck of her red and plaid jacket.